The F10 M5 M Performance edition is a rare sight to see. With only 30 production cars released solely for the UK market in three specially selected BMW Individual colours, this F10 M5 takes our vote for this month’s COTM. Packing an eye-watering 560hp and 680nm of torque, this 4.4litre V8 beast with M TwinPower Turbo Technology, can reach a 0-62mph run in just 4.3 seconds! Complete with a revised race chassis set-up, Active M differential and EDC, this M Performance F10 delivers dynamic track-car handling coupled with supreme cruising comfort. 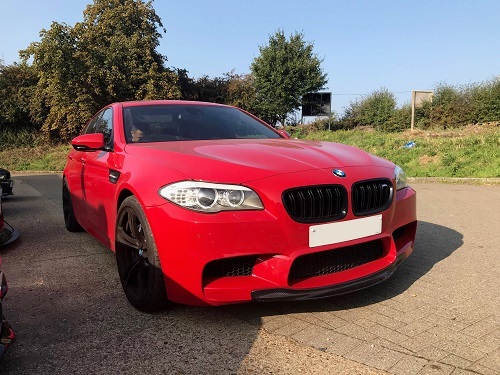 Along with the M Performance additional equipment and features that come as standard – 20” M double-spoke matt black alloy wheels, dark chrome exhaust, side vents and kidney grilles - styling for this special edition M5 has been taken a step further. 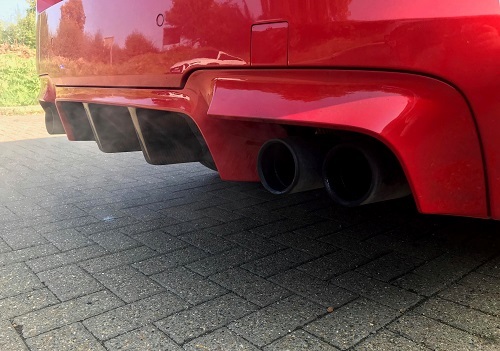 Opting for the MStyle carbon front lip and MStyle carbon rear diffuser insert, our customer wanted to add the final touches to make this a truly unique M5. To finish, the arches have been filled by adding 12mm and 15mm spacers to offset a slightly wider stance. This is definitely one for the ‘M’emory board of our top BMW gems that we’ve had the pleasure of working on. If you would like to build your dream BMW, we have thousands of styling and performance parts available. Visit www.mstyle.co.uk or call one of our specialists on 0208 598 9115 – we’d be happy to help!